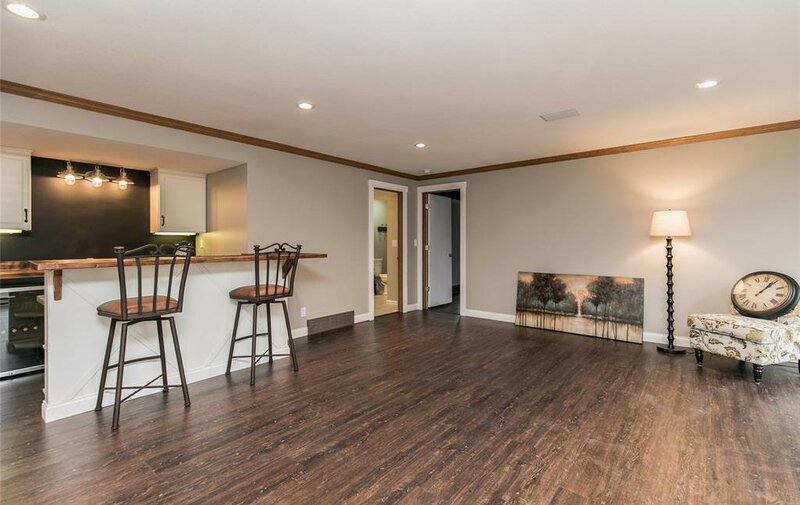 Oh, what a find! 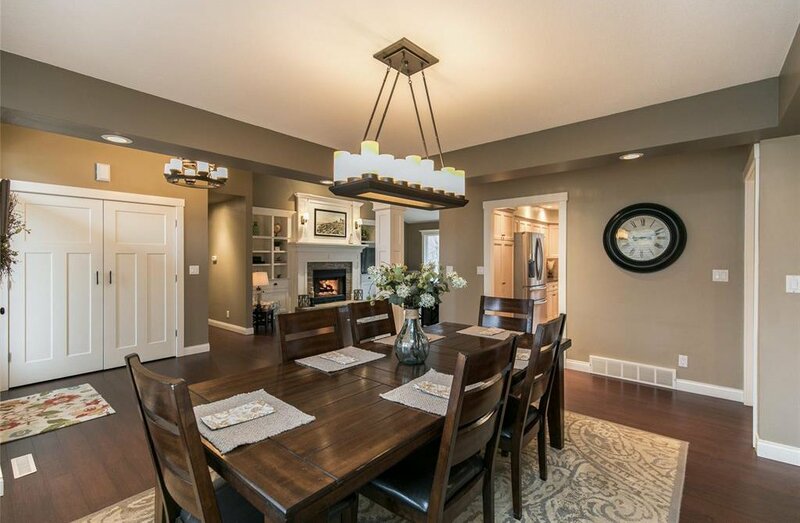 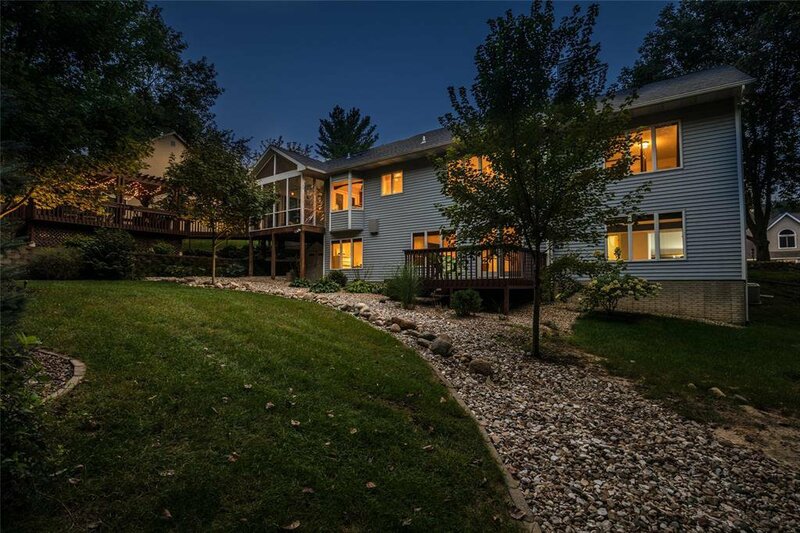 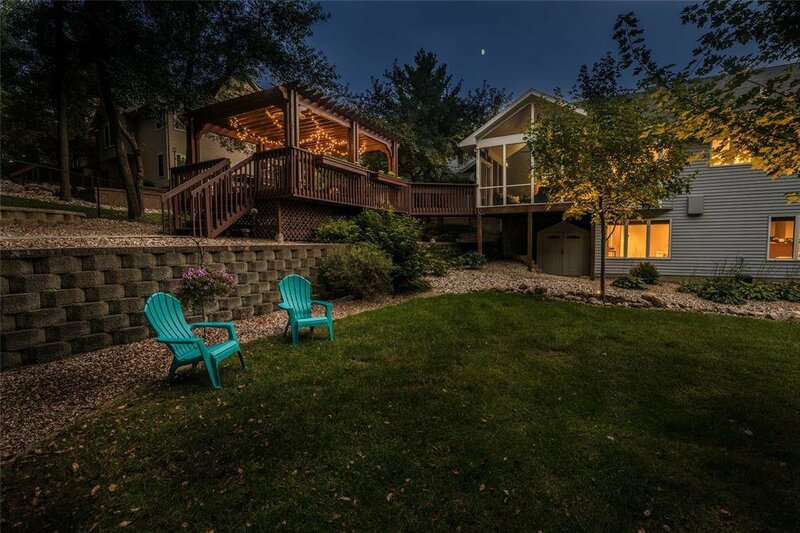 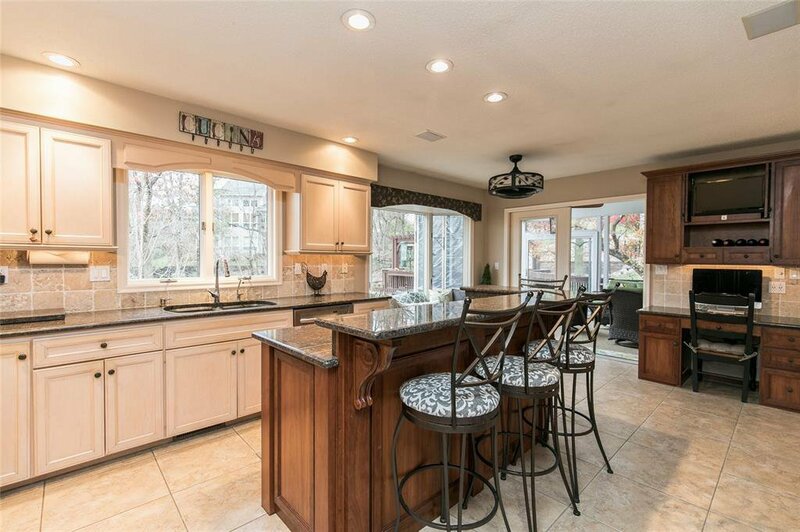 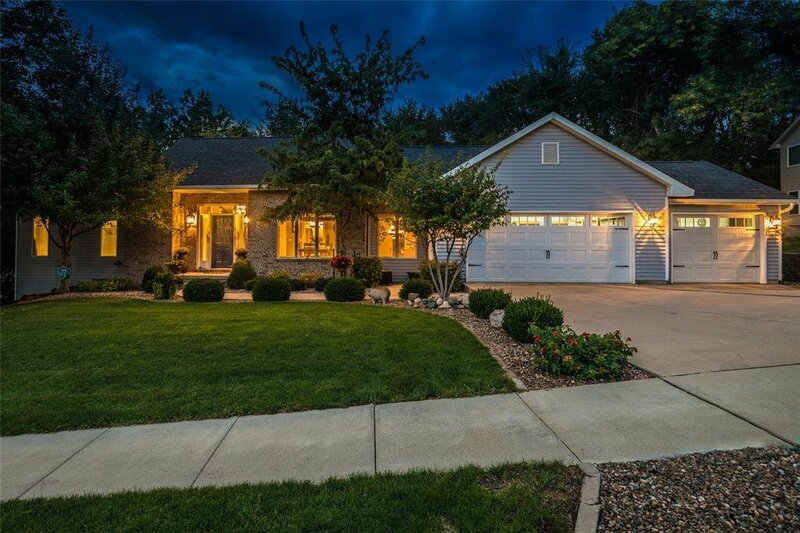 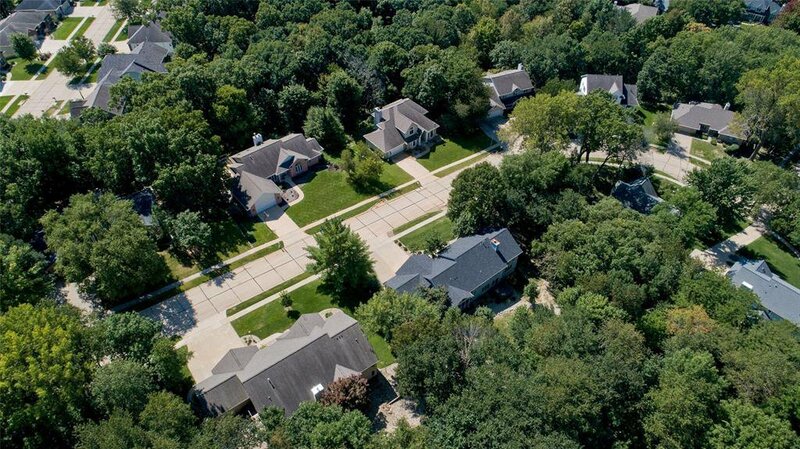 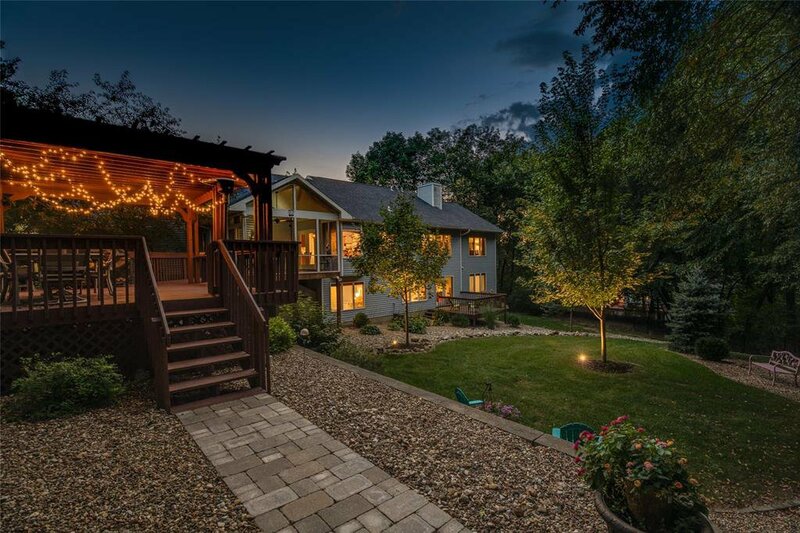 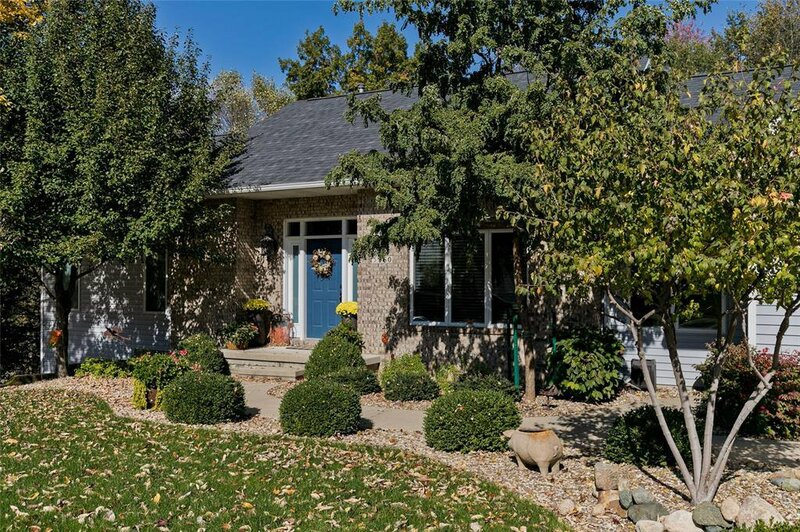 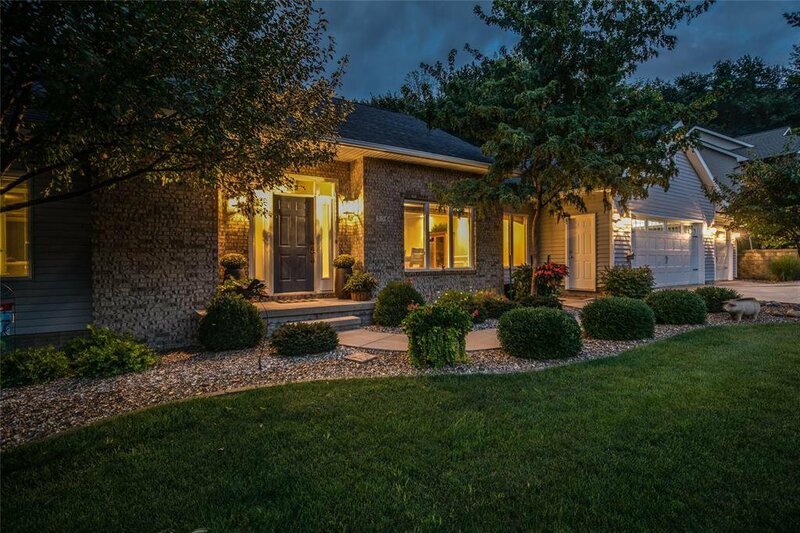 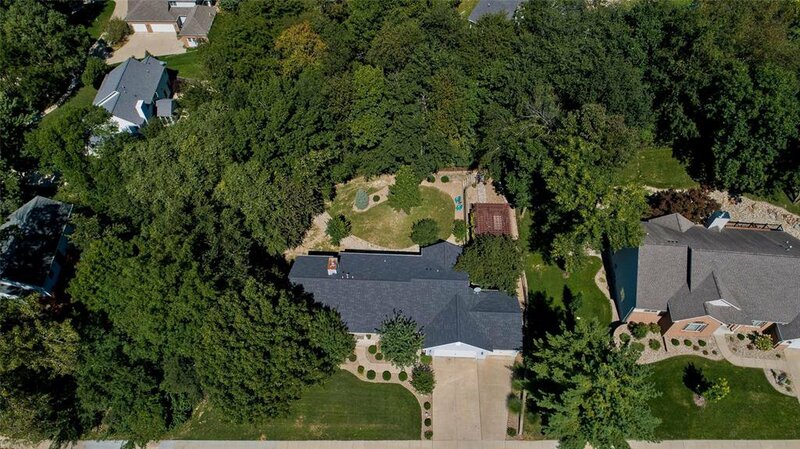 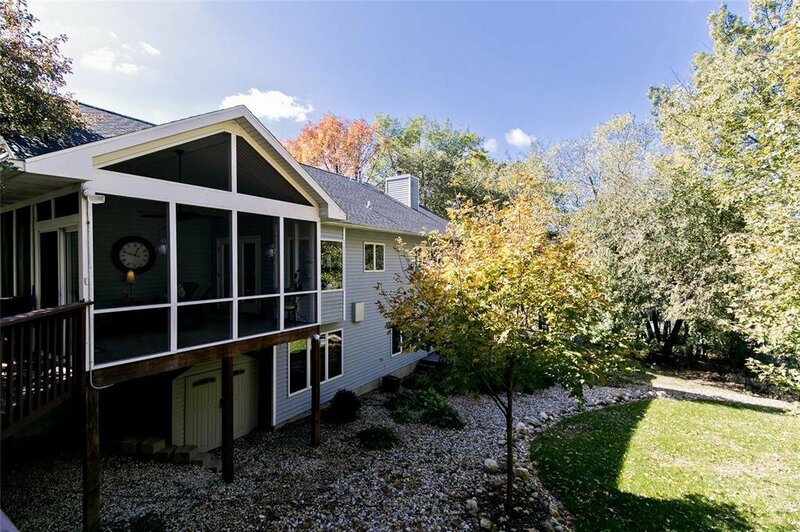 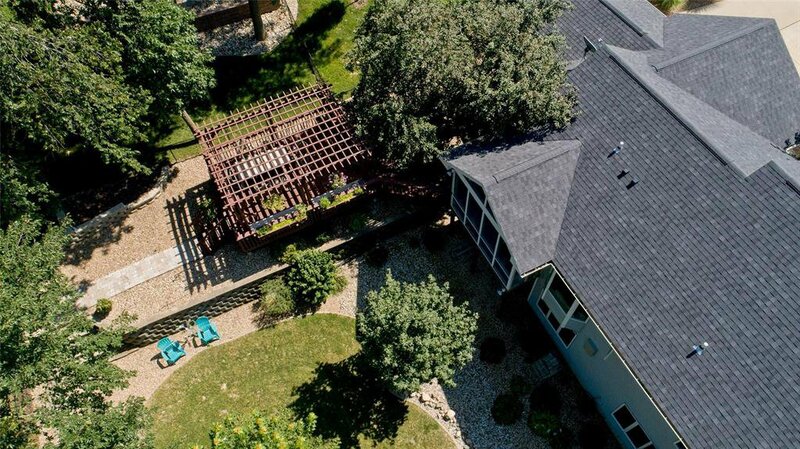 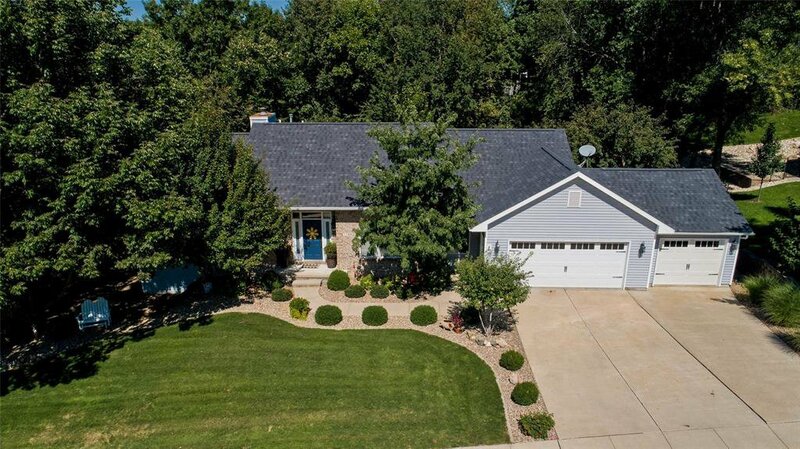 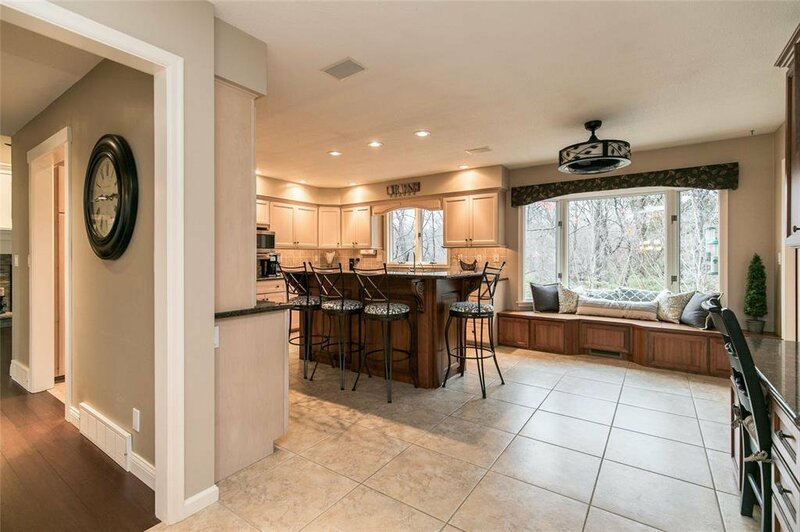 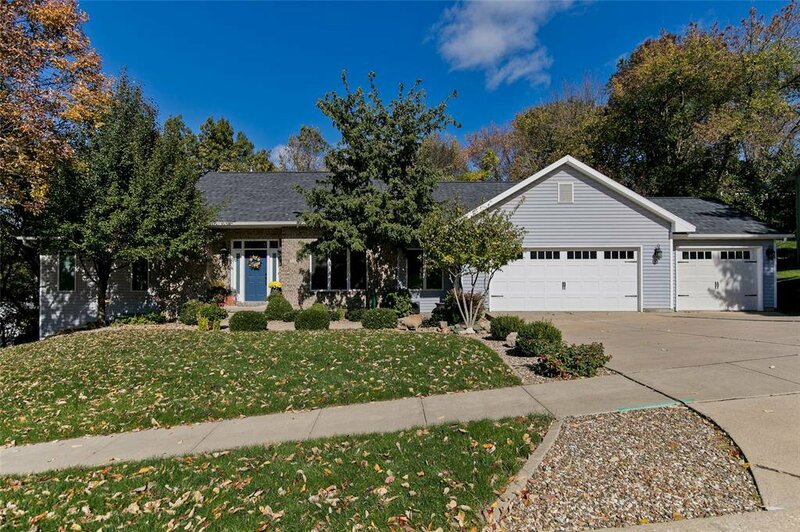 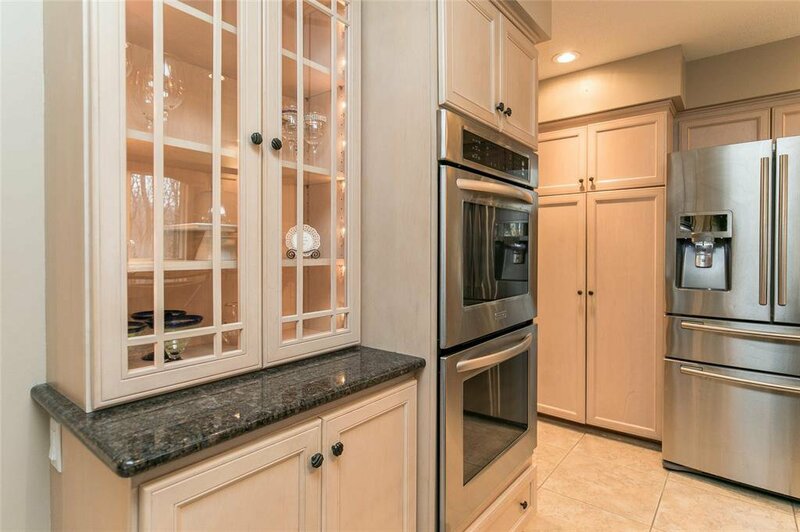 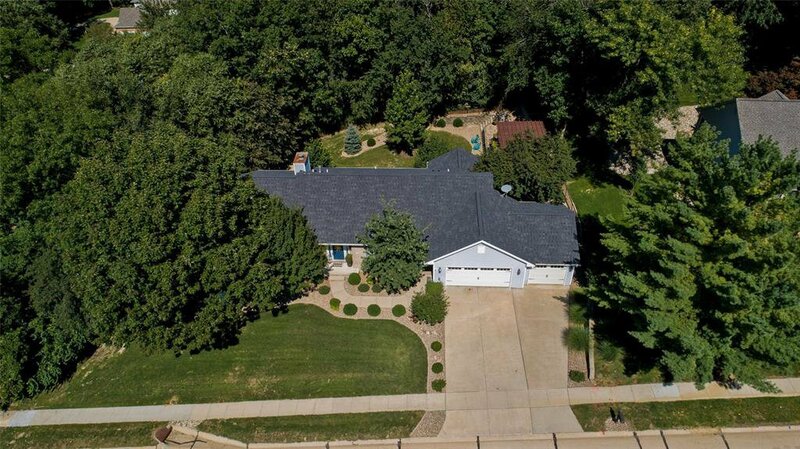 This unique Flynn built home is ideally located in a prestigious wooded neighborhood. 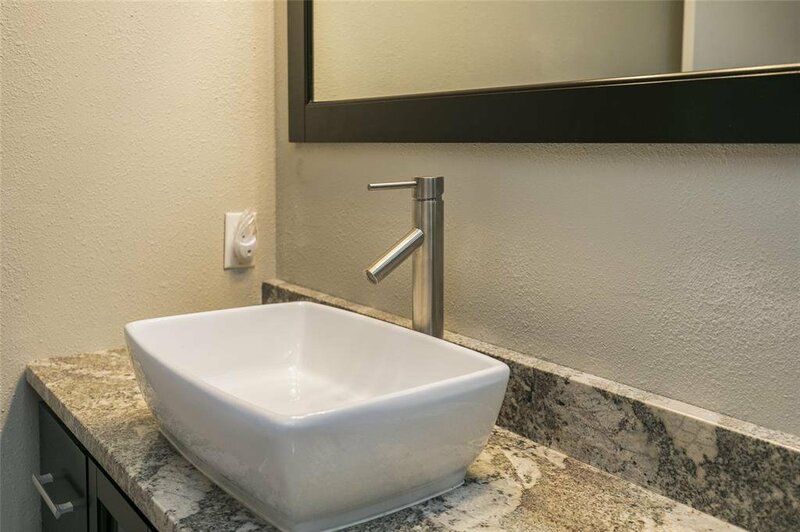 With 1st class updates and amenities at every turn, you’ll think that you’re in a new Parade home. 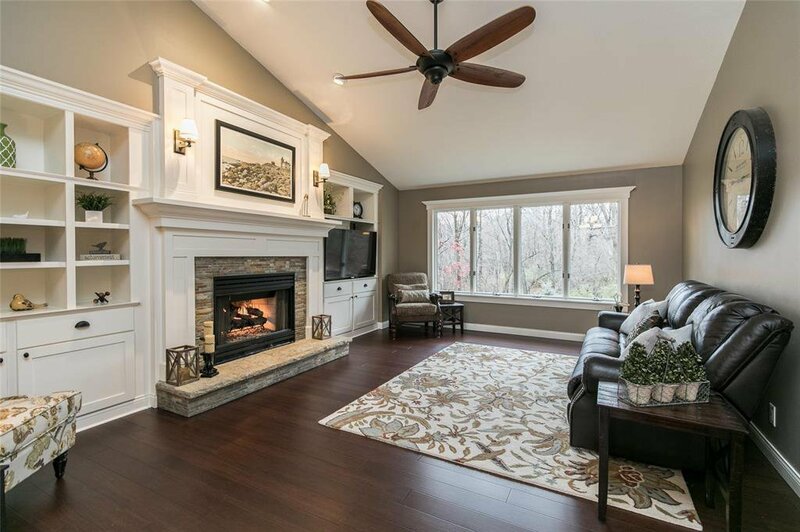 Spacious great room features high vaulted ceiling and gorgeous built-ins. 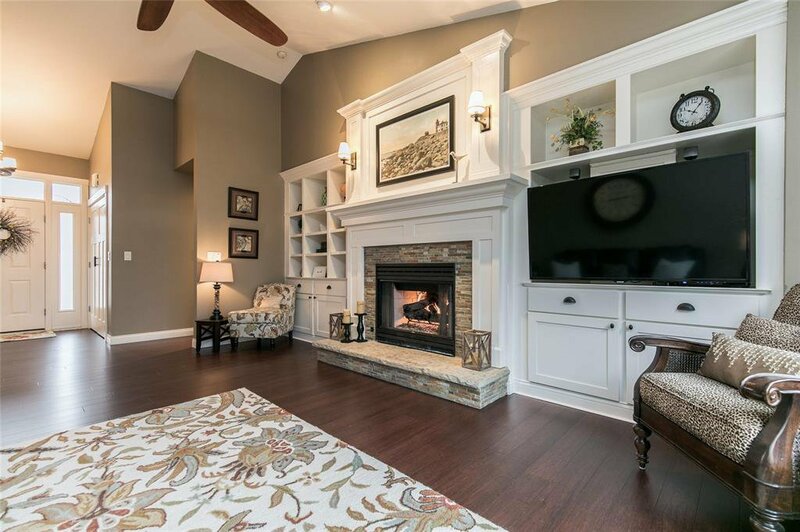 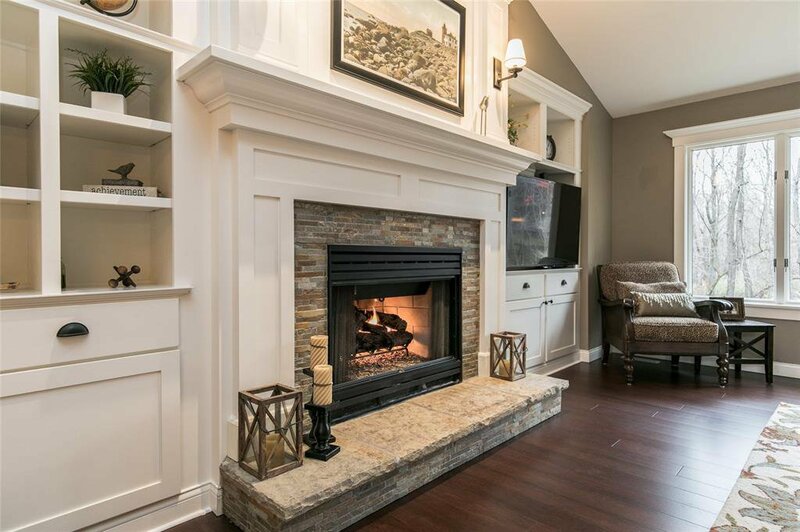 Relax and enjoy the gas fireplace with stacked stone floor to ceiling surround and a wall of windows with wooded view: gorgeous in all seasons. 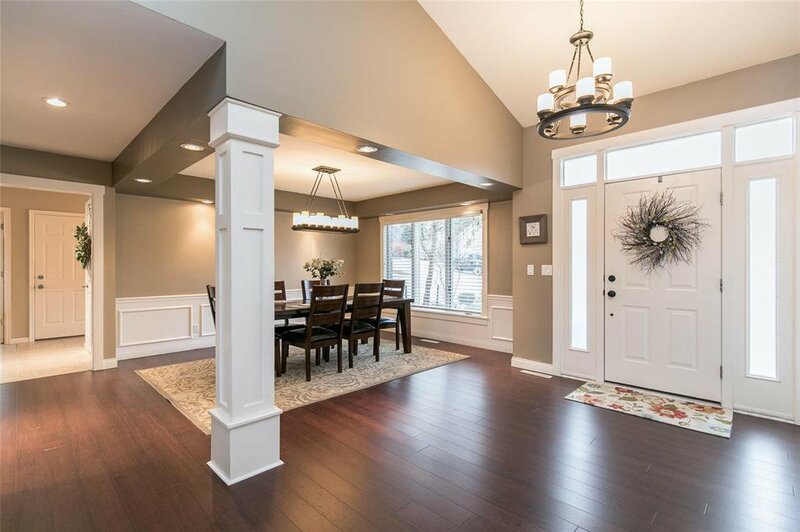 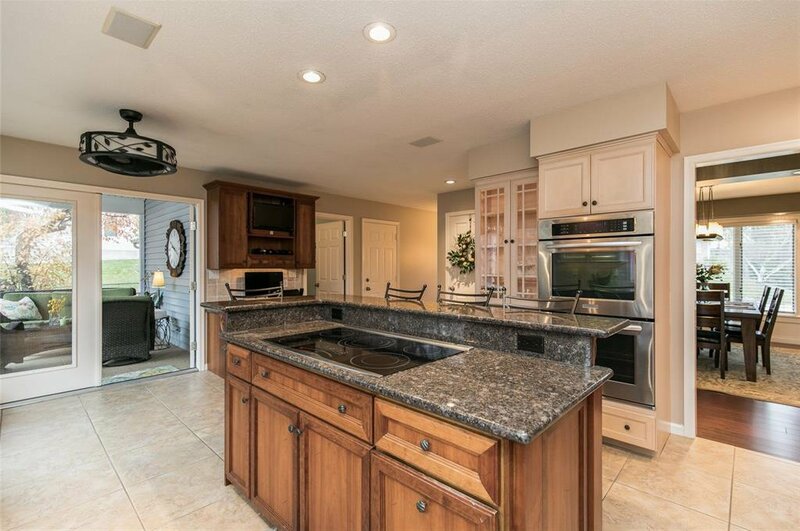 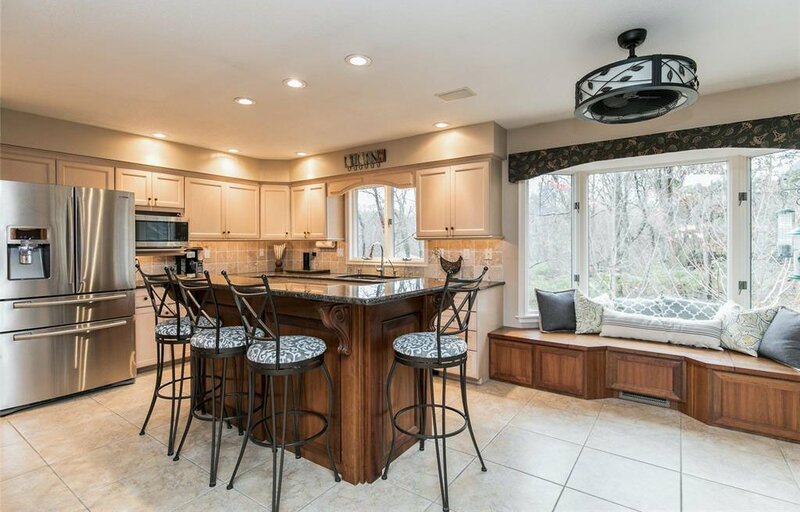 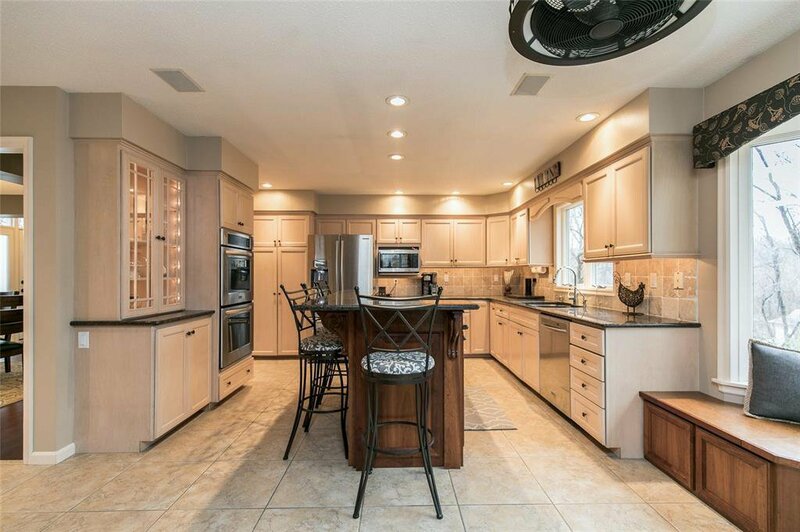 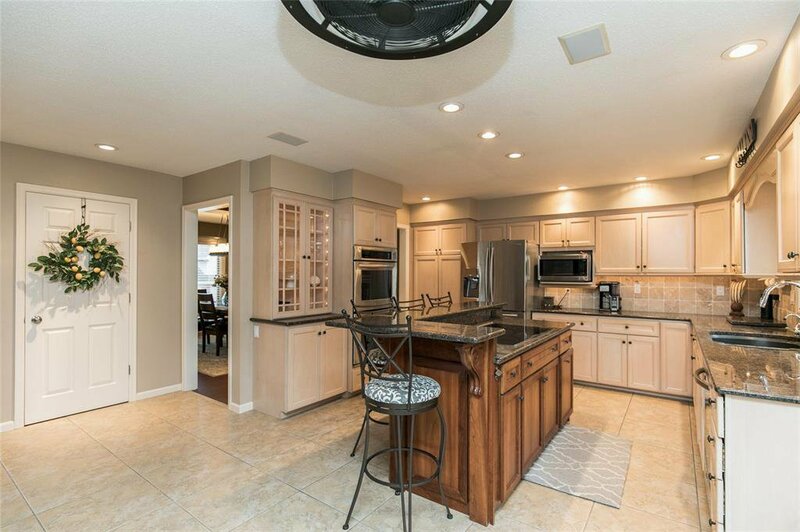 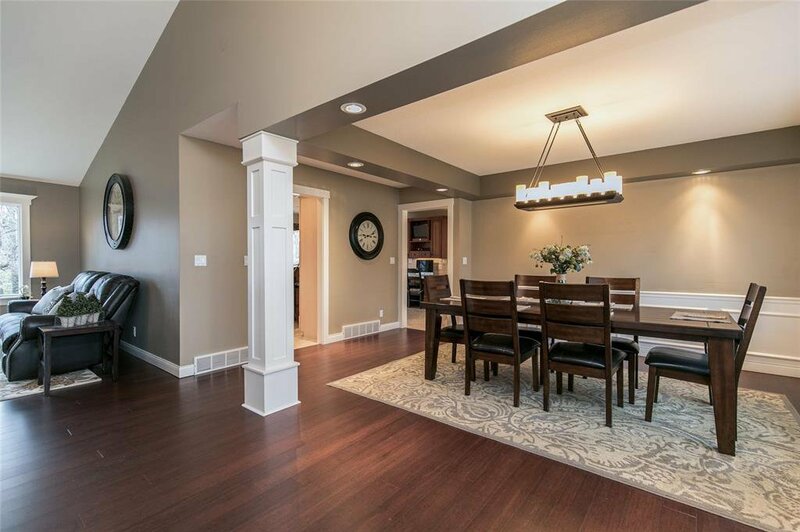 Formal dining room with pillars is perfect for entertaining and the updated kitchen has abundant cabinetry, granite countertops, island with breakfast bar, and stainless appliances. 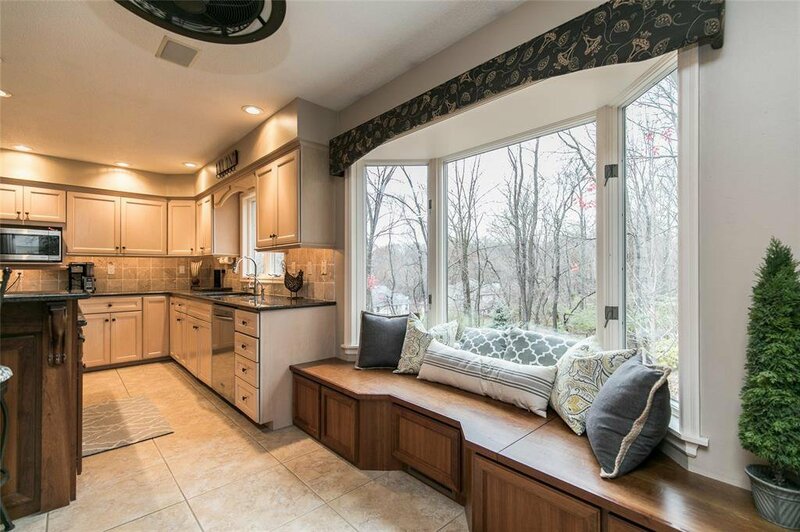 Completely charming window seat in the adjoining breakfast nook invites you to sit and enjoy a cup of coffee and a good book. 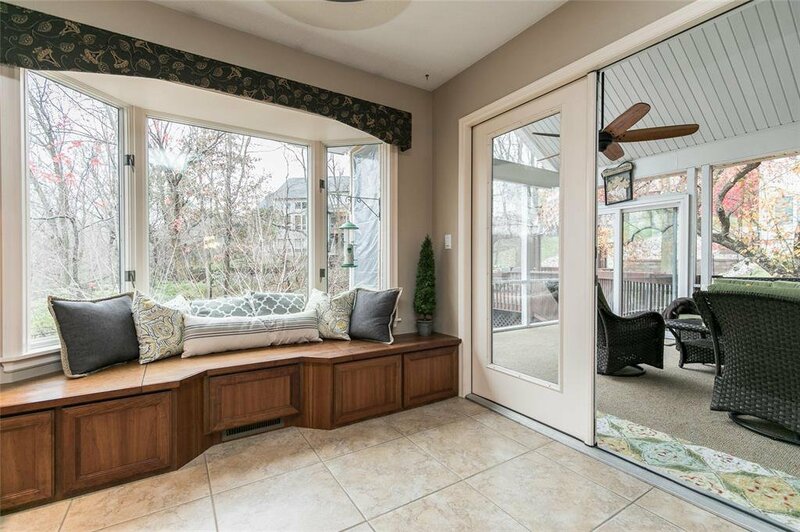 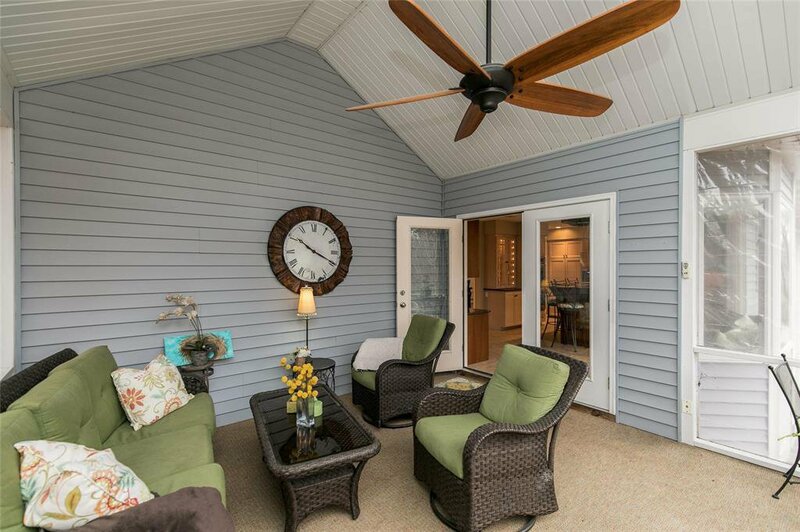 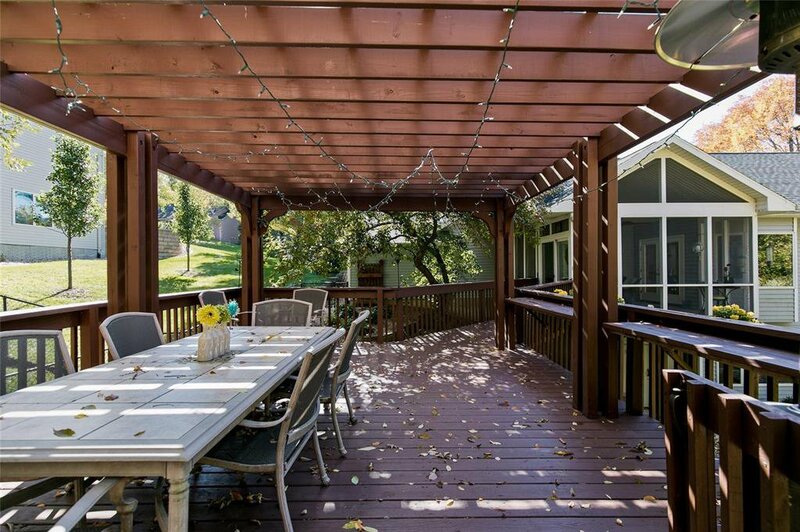 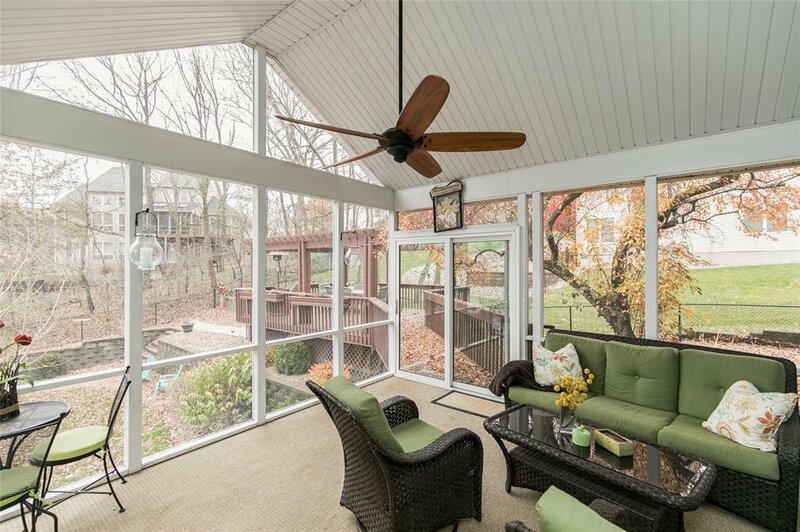 Or step outside to relax on the screened porch or stroll down the walkway to the expansive deck and pergola overlooking that beautiful yard. 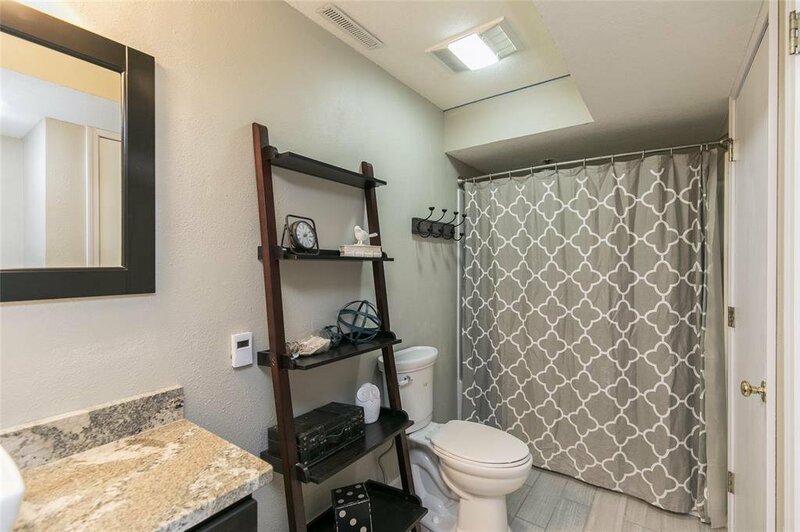 Off the kitchen, you’ll find an updated half bath and main floor laundry room conveniently located nearby. 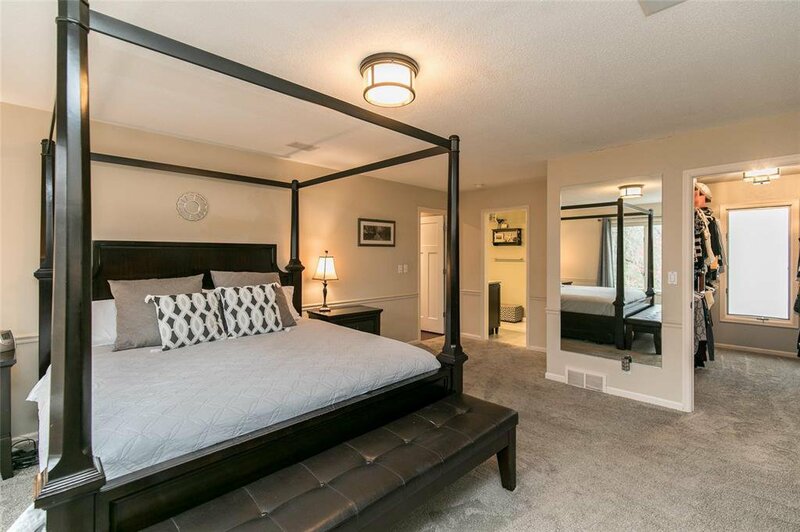 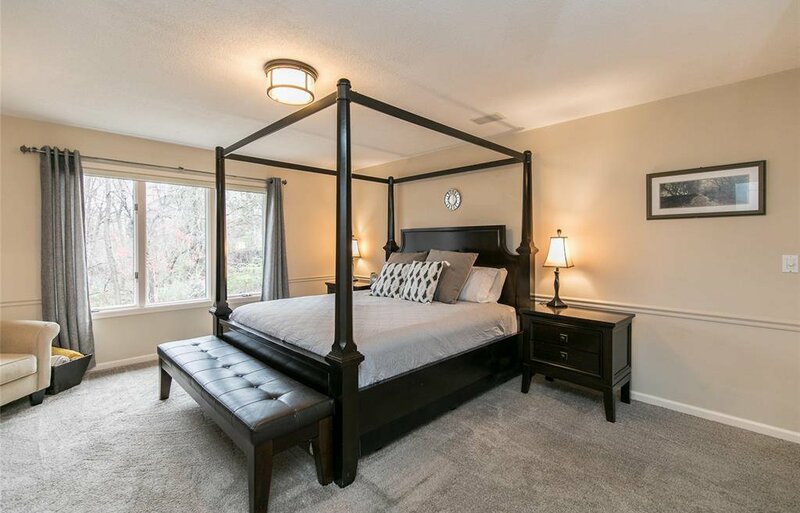 You can pamper yourself in the king size master suite featuring oversized walk-in closet and updated bath that will "wow" you with its tiled shower, dual vanities, granite, and heated, custom tiled floor. 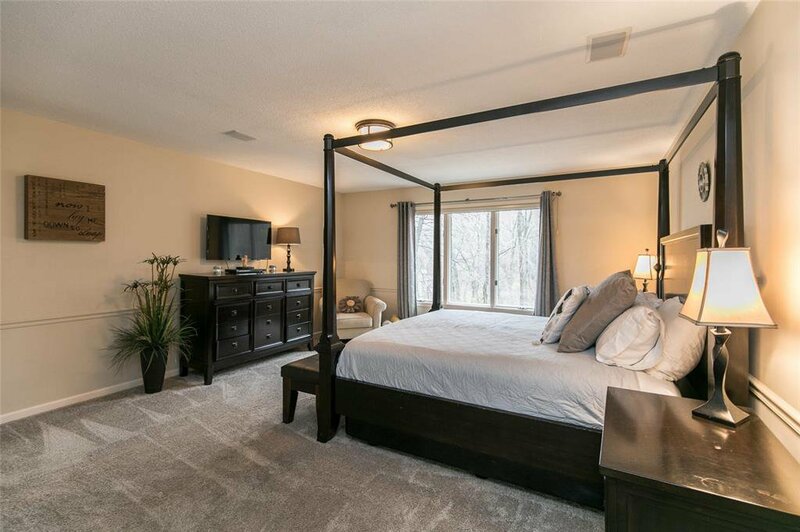 Downstairs, in the walk out lower level, you’ll find a comfortable family room with wet bar and 2 huge bedrooms featuring ample closet space. 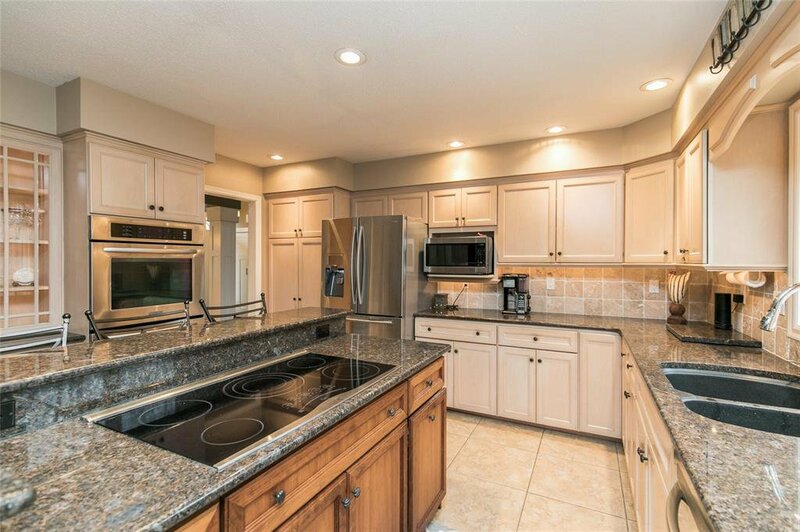 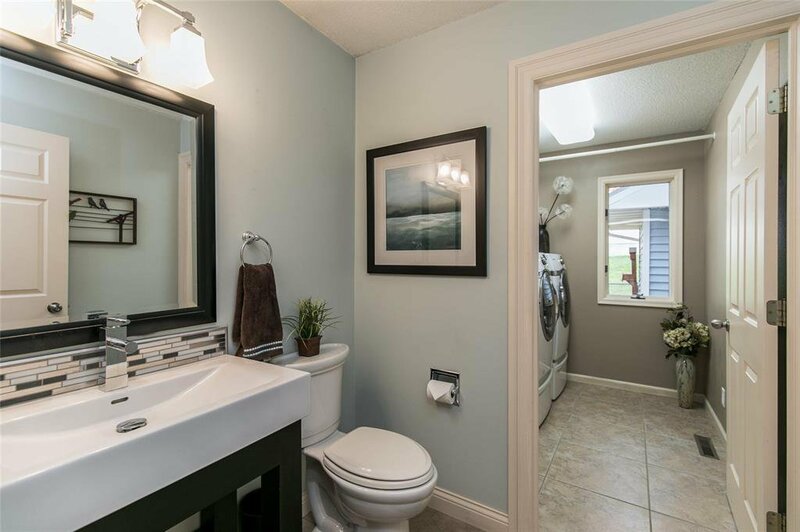 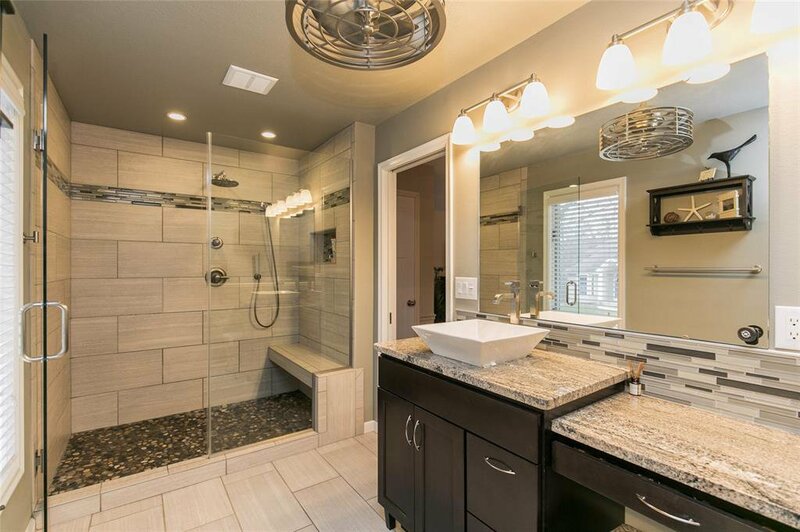 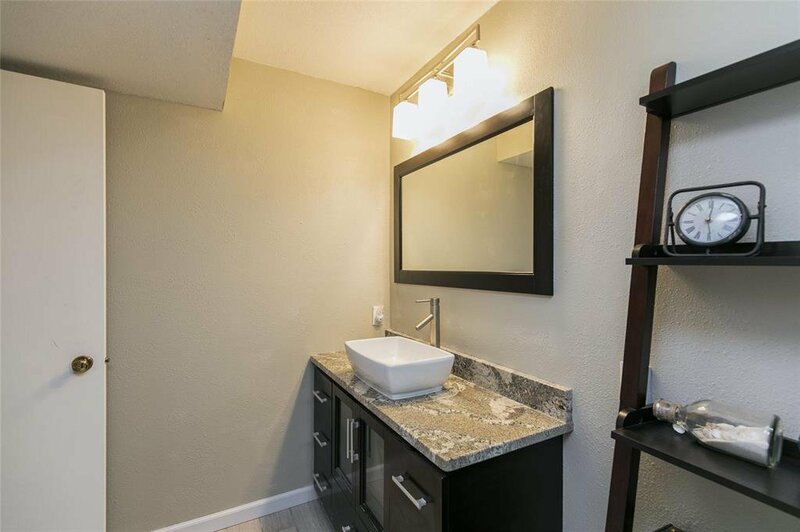 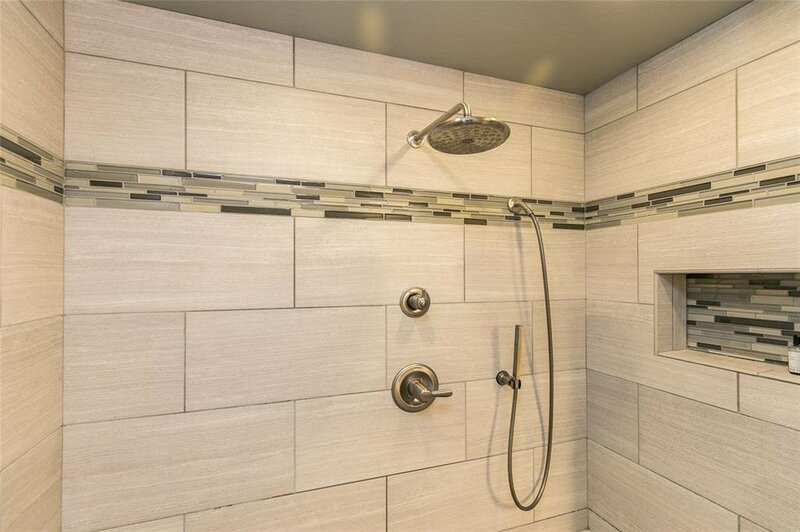 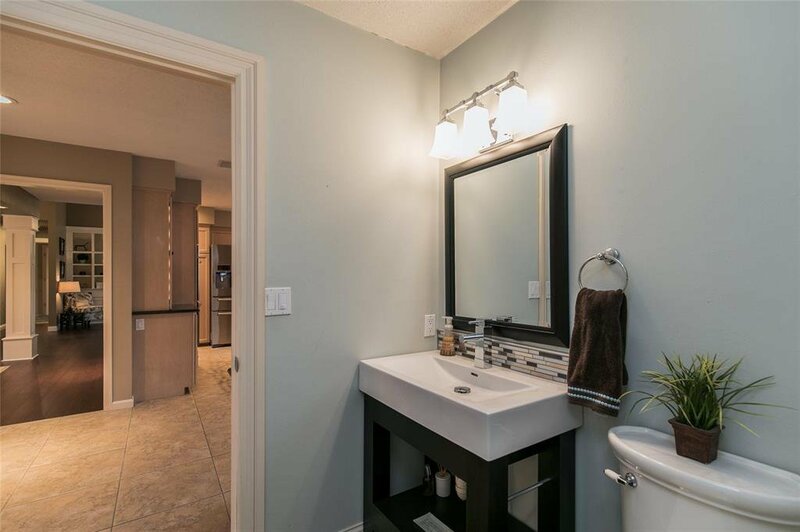 The custom tiled bathroom has been stylishly updated and boasts heated flooring. 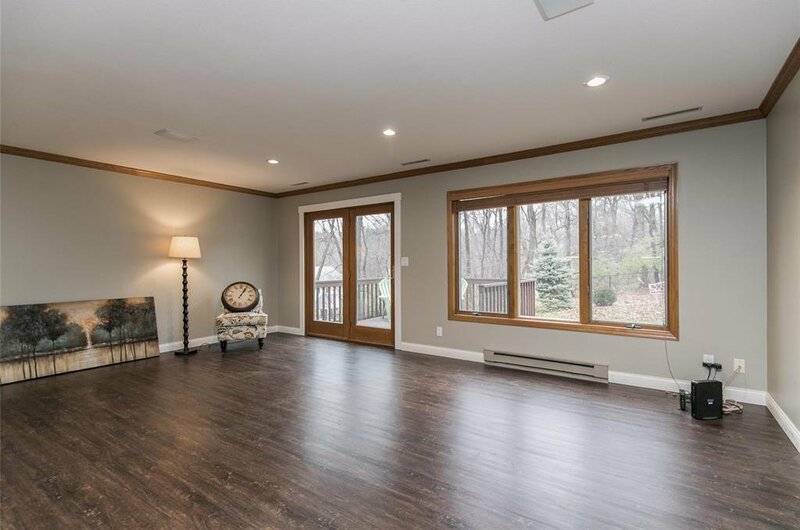 A large bonus room is perfect for 4th non-conforming bedroom, exercise room, or office space. 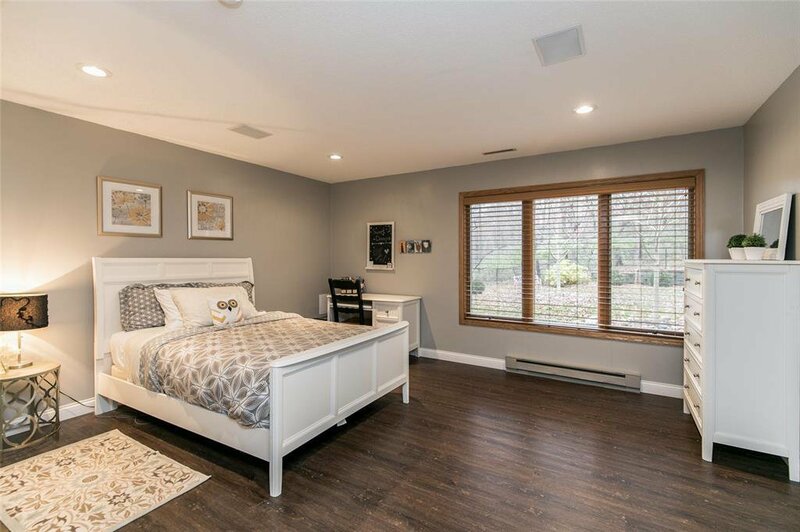 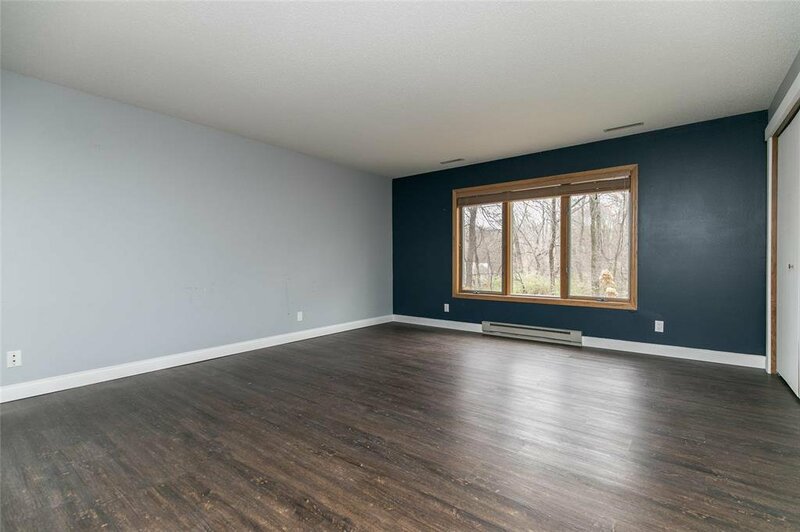 Additional features: 3 car heated garage, all new flooring upstairs and down, painted trim and solid wood doors, heated flooring, 2 water heaters, humidifier, water softener, cedar closet, newer roof, sound system, fencing, irrigation. 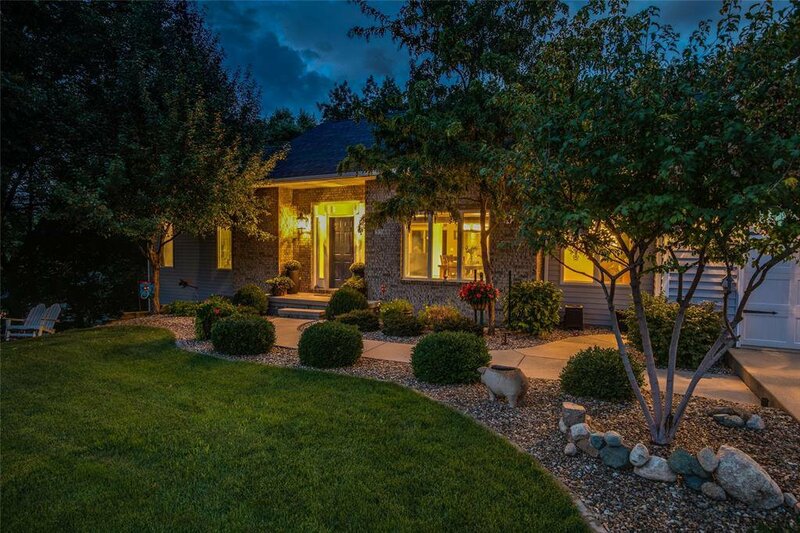 Listing courtesy of SKOGMAN REALTY. 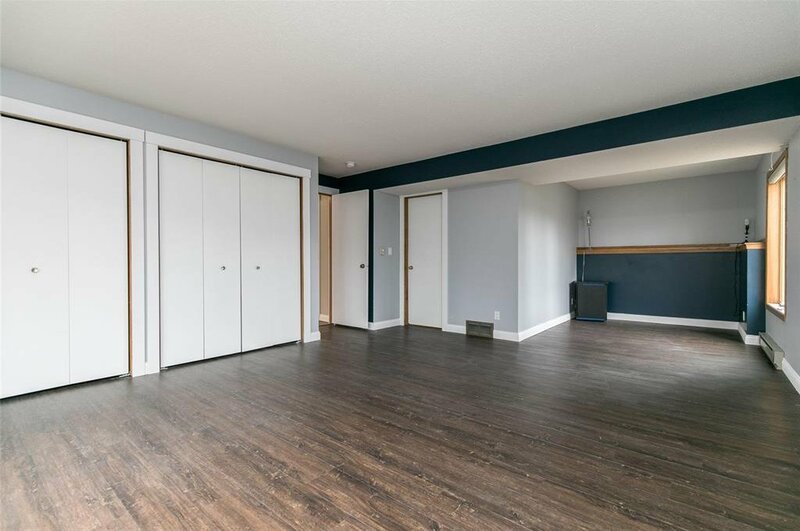 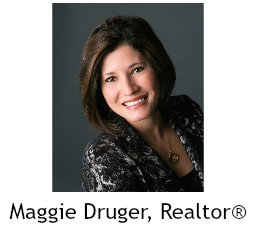 Selling Office: SKOGMAN REALTY.